SEA VIEW RESIDENCES, offering the ultimate in indulgence complete with on-call butler services have been unveiled at Anantara Layan Phuket Resort, the island’s five-star resort hideaway. 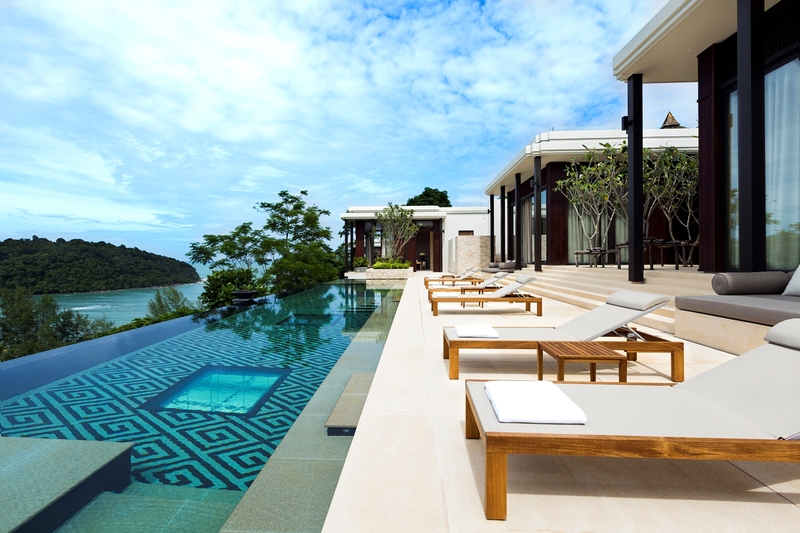 The Residences by Anantara offers 15 exclusive pool residences overlooking the secluded Anantara Layan Phuket Resort, a tropical sanctuary in a tranquil beach setting on Phuket’s west coast. Four of the individually-designed two-storey three to five-bedroom residences, with sizes ranging from 1700sqm – 2200 sqm, have been unveiled to launch the development in time for the Christmas/New Year season. 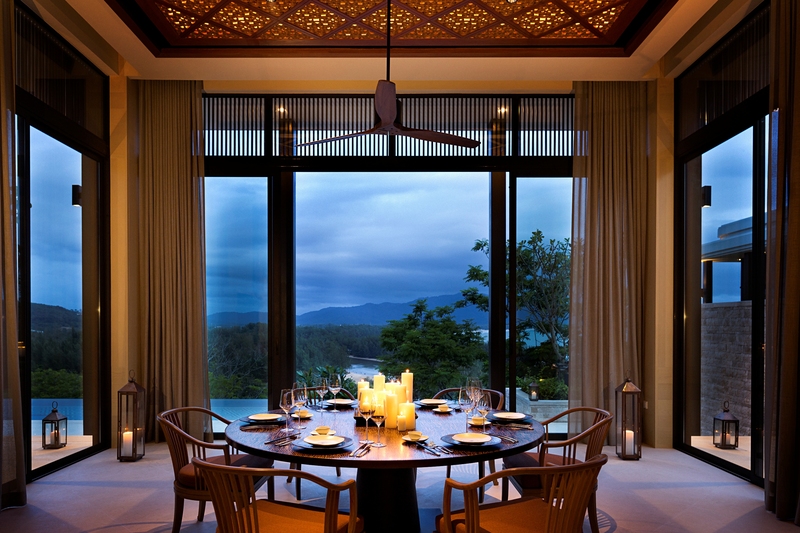 The fully furnished and equipped residences have been added to the room portfolio of Anantara Layan for holiday bookings by families or groups and are also offered for both freehold and long leasehold ownership, with prices starting from US$6 million. These sanctuaries provide complete privacy and luxury in every detail, with elegantly furnished living and dining rooms, fully fitted kitchens, deluxe bedrooms with spacious en-suite bathrooms, media entertainment and spa rooms, as well as accommodation for live-in butlers and chefs. Outside, rooftop decks and sweeping pool decks, with Thai salas and 21-metre infinity pools, offer sunset relaxation or entertaining, with panoramic views across the tranquil Andaman Sea. The Residences feature high vaulted ceilings, floor-to-ceiling windows providing expansive views of Layan Beach, and open sweeping stairways. Upstairs, master bedrooms, lounges and dining rooms open onto the outdoor decks with their infinity pools and Thai salas for relaxed socializing. Additional bedrooms are downstairs, together with studies, kitchens and staff accommodation. Some residences also feature spa and gym rooms. Glass skylights on the floors of the infinity pools shed additional natural light into rooms below. The Residences’ stylish Thai culture-inspired design has been recognized with the “Best Residential Interior Design” awards at both the Thailand Property Awards 2015 and the South East Asia Property Awards 2015. Live-in private butlers, as well as visiting spa practitioners from the resort’s Anantara Spa, enable residents and guests to tailor their own bespoke dining preferences and spa treatments in a stay-at-home retreat in the privacy of their residence. Residents and guests are also welcome to venture into Anantara Layan itself to experience the superb resort facilities. The resort’s cuisine offers culinary diversions at its hillside dee plee Thai restaurant and elegant beachfront Sala Layan, offering boutique buffet breakfasts and Mediterranean-inspired cuisine. Anantara Spa, with seven treatment suites and manicure/pedicure studios, has a full therapeutic range combining Asian therapies and pampering Elemis products. Anantara Layan’s Thai ambience is subtly underscored every evening at dusk with a torch lighting ceremony, accompanied by traditional drumbeats. Further cultural interests and activities on offer to guests include Spice Spoons Thai cooking classes, lessons in Muay Thai boxing at the resort’s boxing ring, together with yoga classes, a fitness centre and a children’s club. Residents and guests can also charter the resort’s magnificent motor yacht ‘Major Affair’, a 90-foot Sunseeker, for luxury day trips or longer cruises to explore the spectacular islands of the Andaman Sea.